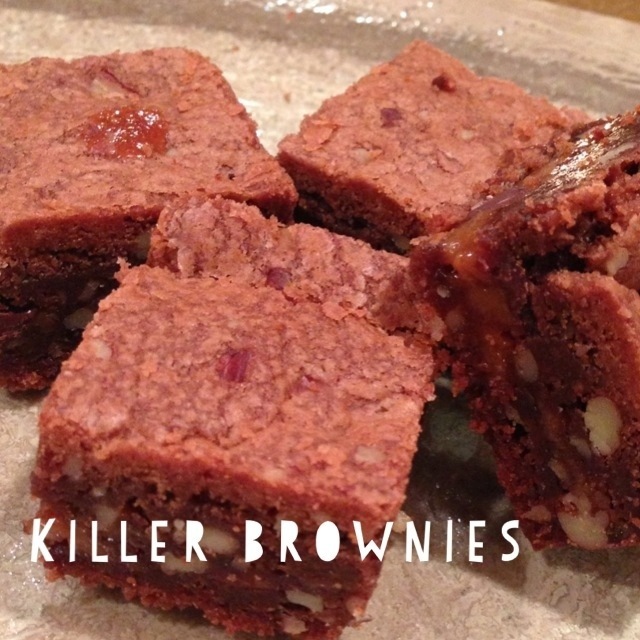 killer brownies | Is there any wine left? Rice Epicurean was a beloved local chain of family-owned grocery stores in Houston until recently. While I think there is still one location open, the rest were sold to Fresh Market last fall and are in the midst of being gutted and renovated. I don’t know the whole story of why it was sold, but its a shame to see a small business have to close. Let me wax poetic for a minute on the topic of local grocery stores. I just saw this video the other day about Calvin’s Bocage Market — our neighborhood grocery store in Baton Rouge. Tom Brokaw did a story on NBC News in 1996 when Calvin bought the Piggly Wiggly where he had worked his way up from a bag boy 19 years before. What a serious American success story! Also, I have never had chicken salad that’s as good as Calvin’s. Calvin’s Market is still going strong and is a real treasure in Baton Rouge. I’m so glad. Anyway, Rice Epicurean sold about six variations of ‘Killer Brownies‘, which were enormous decadent brownies. Most were filled with a layer of gooey caramel. I’m worried (and pretty sure) that Fresh Market won’t sell them when they open later this year. But due to the saving grace that is the internet, the killer brownie recipe is available for all of the world. First, I like to use this trick when making brownies so they are easier to remove from the pan after baking. 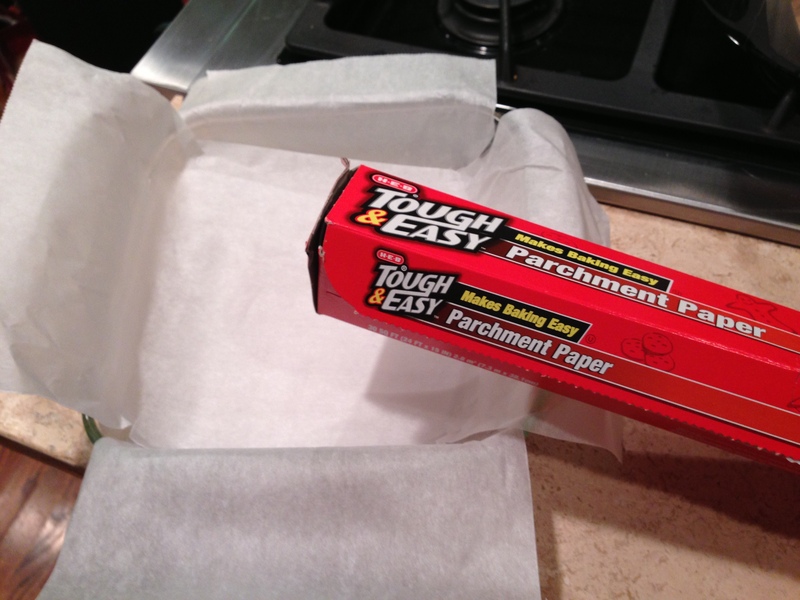 Cut two strips of 9″ x 15″ parchment paper. Use them to line the inside of a 9″ x 9″ metal baking pan, then grease the paper. Also, note how I said ‘metal’ baking pan? Don’t use glass. The glass retains too much heat and cooks the outsides and bottom of the brownies faster than the middle, so the insides end up sinking after cooling. In a microwave-safe bowl, melt caramels with additional 1/2 cup evaporated milk by heating for 20 second intervals and stirring well between each one. Combine cake mix, chopped pecans, 1/3 cup evaporated milk, and melted butter in the bowl of a stand mixer and beat on medium until combined. 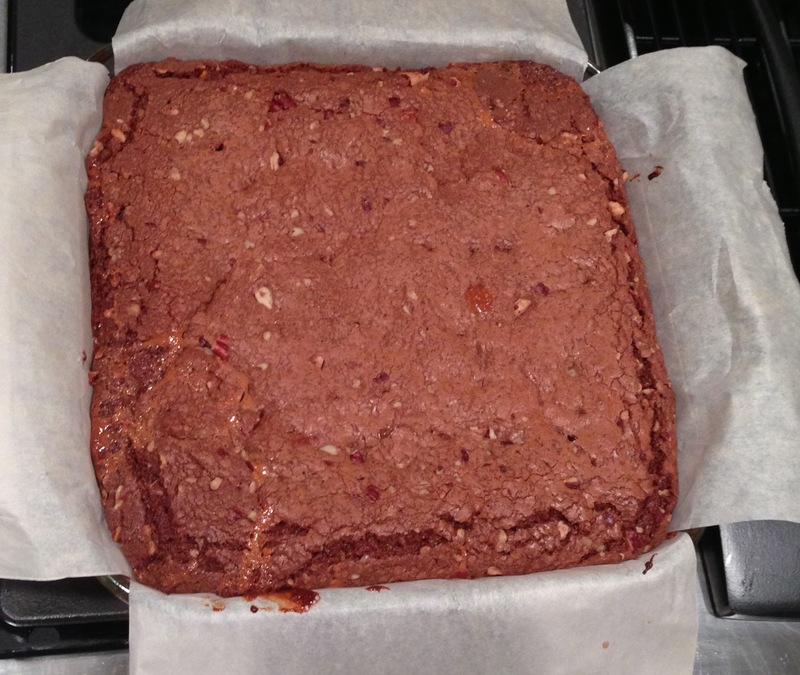 The mixture will be very thick – not pourable like most brownie batters. Divide the brownie mixture in half. Press one half the mixture into the lined baking pan. Bake for 8 to 9 minutes at 350 degrees F. Remove pan from oven and set aside. Form the other half into a 9″ x 9″ square on a sheet of parchment paper. Set it aside. Pour the melted caramel over the brownie base. Sprinkle the chocolate chips over the caramel. Use a big spatula to pick up the second half of the brownie dough and set it on top of the caramel and chocolate chips. You may need to cut it in half and gently lay each half next to the other on top of the caramel. Bake for 20 to 25 minutes at 350 degrees F. Once the brownies have cooled slightly, lift them from the pan using the extra parchment paper and let them fully cool to room temperature, then cover and refrigerate for several hours before serving. These brownies will keep in the fridge for 3-4 days. Cut two strips of 9″ x 15″ parchment paper. Use them to line the inside of a 9″ x 9″ metal baking pan, then grease the paper. 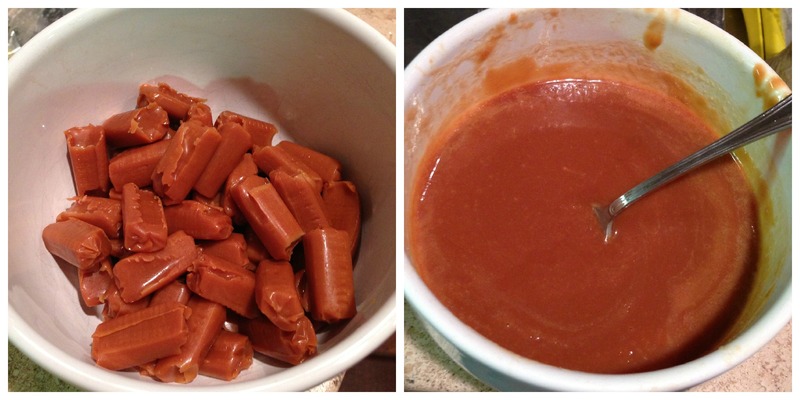 In a microwave-safe bowl, melt caramels with additional 1/2 cup evaporated milk by heating for 20 second intervals and stirring well between each one. When melted and combined, pour over brownie base. Sprinkle the chocolate chips over the caramel. Use a big spatula to pick up the second half of the brownie dough and set it on top of the caramel and chocolate chips. You may need to cut it in half and gently lay each half next to the other on top of the caramel. The non-stick foil is perfect for lining. brownie. pans. and cookie. sheets.